In the populist tradition of Andrea Immer, New York City's first female whiskey sommelier translates today's hottest spirit for a new generation of imbibers Whiskey is in the midst of a huge renaissance. Ten years ago, the United States housed sixty-nine craft distillers; today, there are more than four hundred. Exports of Scotch whisky grew 12 percent just last year. Sales are skyrocketing, and specialty bars are popping up around the country, from New York City to Chicago to Houston. Yet whiskey drinkers - especially novices - are more confused than ever. Over the past decade, whiskey expert Heather Greene has been bombarded with thousands of questions, including: Can I have ice in my whiskey? Why is it sometimes spelled "whisky"? What makes bourbon different? 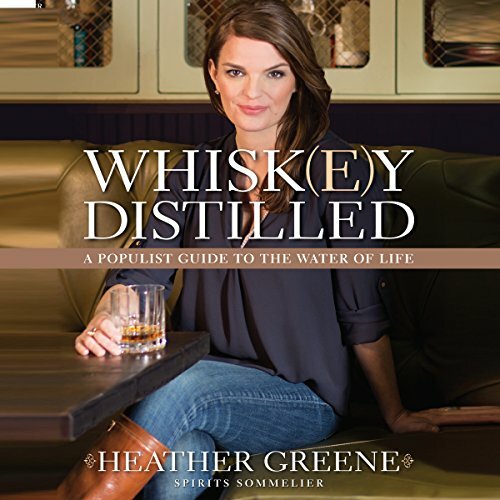 As New York City's first female whiskey sommelier, Greene introduces audiences to the spirit's charms and challenges the boys' club sensibilities that have made whiskey seem inaccessible, with surprising new research that shows the crucial importance of "nosing" whiskey. Through lively tastings, speaking engagements, and classes such as the popular "Whiskey as an Aphrodisiac," Greene has been demystifying whiskey the way Andrea Immer did wine a decade ago. What did you love best about Whiskey Distilled? 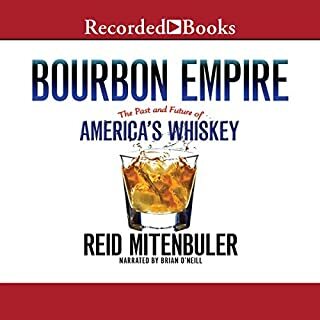 This book provides a great primer (not PRIME er, see comments below on narration) on whiskey, from how it's made to how to taste it to how to get started with your whiskey collection. I loved the content of this book. What was one of the most memorable moments of Whiskey Distilled? Fascinating stuff about the importance of the nose in tasting, especially snippet on how whiskeys basically taste the same if one's nose is plugged. Not unless I'm in the mood for a romance novel. The content of Ms. Greene's book is great. 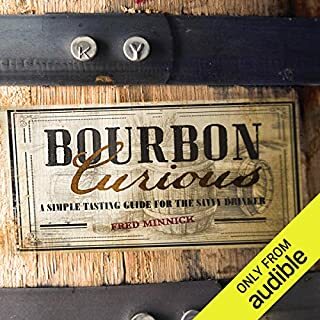 It has a fantastic introduction to whiskey tasting and making, with very helpful suggestions on how to nose and taste whiskey; how to build a bar; food and whiskey pairings, etc. But the narration...oh boy. Ms. Gilbert's tone is that of someone narrating a Jane Austen book, not one about whiskey. Seriously, parts of it are like listening to a romance novel. Nor does she appear to know much about the topic. I’m not saying she should be an expert like Ms. Greene in order to narrate, but she should at least have some familiarity with the topic – including pronunciation. I had to rewind to make sure I heard this right (wrong), but she actually pronounced “Ancient Age” as “Ancient Egg”. And Bardstown is now Bardston? Really? And doesn’t primer with a long “I” refer to paint? (Although it was sure helpful to have the proper pronunciation of Dutch cheese in there. “Mr. Darcy, do stay for some HOWduh and sherry!”) My advice: Skip the audiobook and pick up the hard copy. This soundtrack will drive you to drink. Informative and Easy Going Down: A Nice Blend. 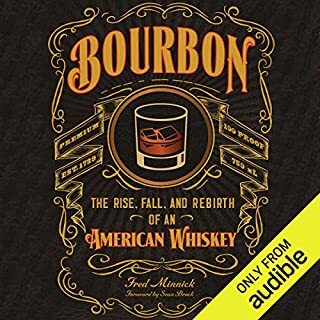 Would you consider the audio edition of Whiskey Distilled to be better than the print version? There are some critical reviews here, and after listening I'm skeptical about the motivation behind them. 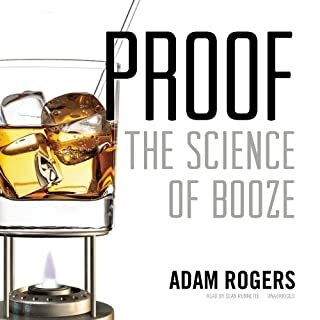 This book is very informative and covers a lot of whiskey/whisky basics as well as some light chemistry and physiology subject matter. These concepts are all important if you want to understand how to think about whiskey (USA!) in any depth. I did notice this book reminds me in some specific ways of some other print books which I read while listening to this one. For example books by Charles Maclean and Michael Jackson. Some of those books are longer and perhaps more comprehensive, and Greene may have borrowed from or been inspired by them (I'm not sure whether her articles pre-date those writings). However there are only so many ways to approach this information so repetition is to be expected, and this book is the only one available on Audible, so I'd highly recommend it if you're interested in listening to this subject. 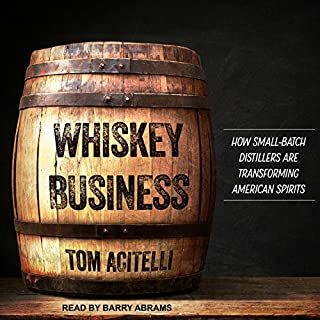 Greene does a good job of sprinkling in anecdote and entertainment along with an easy to understand breakdown of whiskey distillation and varieties. I learned a lot from this book. I already notice that I can pull quite a bit of information from a bottle label that would have passed over my head before. I'm confused by some of the other negative reviews which misrepresent Ms. Greene's self-promotion which is minimal. I think that criticism reflects the reviewer's bias which I'll elaborate on below. Okay.., Tavia Gilbert's reading isn't Shakespeare, and it's not even Ian McKellen. However, while sing-songy, it's not that hard to listen to at all. I probably wouldn't have paid any mind to her cadence if I hadn't read the other reviews first. I reconsidered getting this book after reading the reviews and listening to a sample. It did take some time to grow accustomed to her style, but that's true of every new reader. Once I became absorbed in the subject, I didn't notice any peculiarities related to Gilbert's presentation, which I think is high praise for an audio book reader. I'm suspicious some of the other reviews hide a touch of misogyny and gentleman's club exclusivity under their surface. Greene finds it necessary to justify a woman writing on this subject, which might seem unnecessary until you read the reviews here. Unfortunately I feel the same justification may be needed for the narrator. I get the impression some people don't think a woman can read this material. Sure, it's not a super serious reading, but this subject is supposed to be fun and I don't need a depressed Sean Connery to help me understand the intricacies of Scotch. I have no idea if Gilbert reflects Greene's personality or her intended tone. However, I have no issue with Gilbert's reading, and I wonder whether the critical reviewers finished the book, or quit as soon as they had something nasty to say? Finally, if you're the type of person who dislikes too much "book-learning", a criticism of one of the other reviewers, I question what you'd get from a 7 hour book on a single subject in the first place? That's not even to mention how strange it is to complain about book learning in a review on a book site regarding a book about learning. The science and physiology are very simple and not a primary focus of the book, but they also in no way detract from the book. I rarely write reviews, but I enjoyed this very much and wanted to be sure that some of the other things said here didn't dissuade future listeners. Sláinte and Cheers! The author has a strong bias toward Scotch. She spends two chapters extolling the virtues and comparing every other variety of whiskey to it. This would be more helpful, if she were to compare it to specific brands, or at least regions,of Scottland. Very good, information and instruction on how to "nose" and the knowlege that can be gained from doing it, correctly. Good information for the whiskey afficianado. Perhaps, if it were a dramatic novel. Trying to add a dramatic flair to a non-fictional, technical manual, is just painful. A physical copy of the book would have been better considering the way information in the latter chapters were presented. This is an excellent book for someone starting out wanting to learn about and tasting whisky. It is very informative. 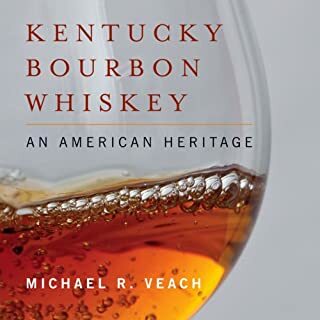 The author does a brief but very informative overview of just about every topic there is to learn about whiskey, from tasting techniques, common terminology, reading labels, distillery process, casks, etc. I opted for the audible version of this book because I tend to spend most of my time driving. However, I will actually be purchasing the text because there is so much information I want to read over as well as recipes to try. The book kept me interested and even further excited me to continue to pursue my knowledge in whiskey. great book! getting paper copy for my book shelf! If you are open minded then this is for you. The context touches on the science and the art of both the legacy and the growing phenomena in the market. There is a charm to the writing style and an attempt to cover the broadness of the topic. Heather understands the difference in tasters and their backgrounds. She is not trying to do to Whisk(e)y what Robert Parker did to wine. There is a tight line to walk when communicating something so many take so personally. She recognizes the line but at the same time doesn't get overly PC. Hopefully, she continues to evolve her writing muse in future writings for us to enjoy. This book is a fun, detailed, and informative adventure into whiskey or whisky, however you care to spell it. I consider it a must read for everyone from the average to advanced enthusiast. Loved it. Lots of useful information. Unlike some of the reviewers, I liked the narration quite a bit.